Land management plans in south Texas have not traditionally targeted monarchs and/or native pollinator communities. While wildlife management practices for other species indirectly benefit native pollinators, they often do not provide the full spectrum of needs to support the diversity of native pollinator species. Additionally, commercial seed mixes often originating from more northern areas often lack the ability to provide a succession of blooms from early spring, through summer, and into the fall that are critical food sources for pollinators. 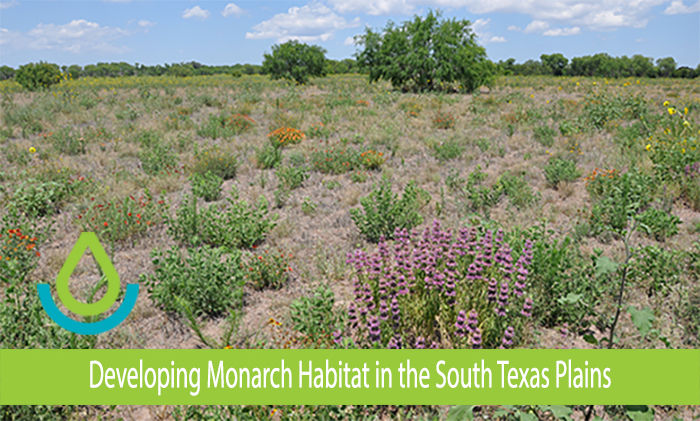 Newly released native grasses and wildflowers adapted to south Texas were planted in large scale demonstrations plantings to develop pollinator and monarch habitat on the Las Palomas Wildlife Management Area.